In Customer Focus Ultimate, the currency generated in forms and orders is dependent on the recipient of the currency. 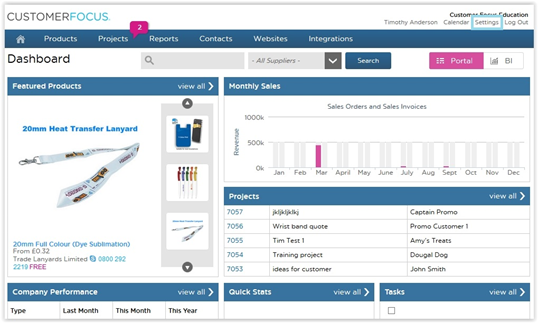 For example, when creating a purchase order the currency of the supplier will be used. I.E. if the PO is to be sent to a German supplier, the currency will be euros, whereas if it is to be issued to a supplier in the US, the currency will be dollars. 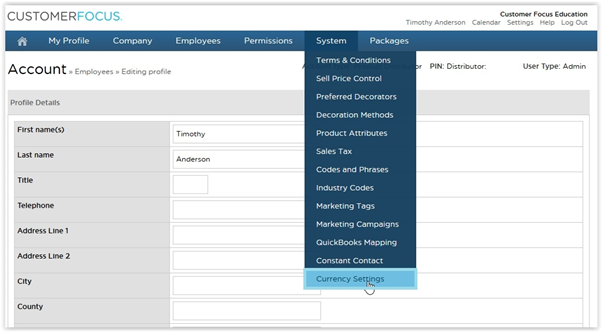 As a starting point, it is important to note that the currency conversion area of Customer Focus Enterprise is only available to distributors. On this screen you can define a custom exchange rate as well as define the date you wish this conversion to start from. To apply the settings, simply add the desired exchange (in euros) for £1, and select a date from the pop-out calendar when clicking on the start date field. NOTE: For reference, the market exchange rate is provided towards the bottom of the screen (the portion of text displayed in red).